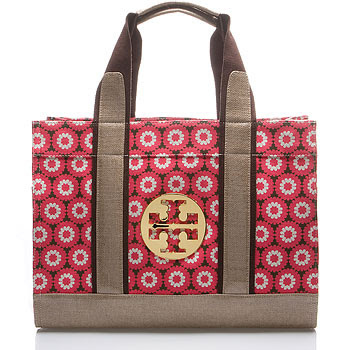 And now I am looking forward to my Tory Burch items to arrive. I am thinking I may wear this to a wedding in July, I have the perfect shoes! 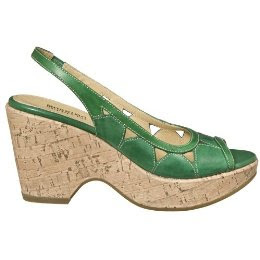 It may not seem like any of it goes together, which is true, but I needed the cardigan to go with another TB dress that I have, I love the bag, and I have been wearing SO much green lately, and I did pick up these green wedges at Target, but another pair of green shoes never hurt anyone did they? I guess that is one of the things that I have been enjoying about being on a client site, getting to actually "wear" my clothes to the office! Unfortunately I work with 99% men, so I don't think that they appreciate my cute coordinated outfits as much as I do! This is another dress that I fell in love with and I knew that if I did not buy it I would not stop thinking about. This is the one that I was going to wear to the wedding in July, but I think a brighter color for a July outdoor wedding will be nice. I am still looking for a chocolate brown crocodile bag to go with this, I already have the sandals. Although I love her espadrilles, anyone know a good place to get those? Now onto menu planning for Father's Day on Sunday. So far I think I am going to do scalloped potatoes and most likely grilled steaks. Any other good ideas are welcome! HI! I have not formally introduced myself, but I read your blog all the time!!!! Question, how do I become a member of Rue La La? Once again, love your blog!!! Hi!! Wanted to say I love your blog and read it all the time-though do not post comments. Question, how do you become a member of Rue La La? Once again, love your blog. Hey guys, if you send me an email I will get you an invite. You, my friend, are a shopping rock star!